In this fast-paced interactive session, international bestselling author Dan Roam will share his unique insights on the extraordinary power of visual-thinking and communications. Using the latest research from the science of vision, Dan will show how you can create, map, and share solution journeys with simple pictures -- even if you can't draw a thing. And bring a pen, because we are all going to DRAW! For more than 25 years, bestselling author Dan Roam has led the visual-business revolution, traveling to five continents to share with business leaders the incredible problem-solving power of pictures. Dan’s breakthrough understanding of how to use pictures to succeed in business has captivated leading thinkers in technology, finance, science, politics, and education. In his fast-paced interactive presentation, Dan shares his top five visual rules he has learned and shows audiences exactly how to seize the power of pictures in their work. These simple but insightful revelations will have you rethinking how you approach the way you problem-solve, sell products, and lead innovation efforts. Dan shows audiences how vision drives all other modes of thought, and teaches them how to hot-wire the visual process for faster problem-solving. 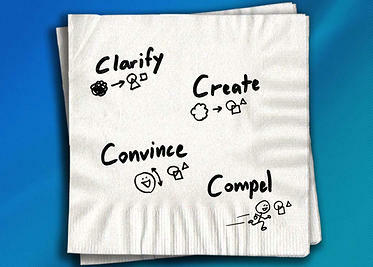 Even if you think you can’t draw Dan shows how simple pictures can make a big difference in your organization. Pop quiz: You're on the way home from a conference. At the airport bar, you strike up a conversation with the person on the next stool. She asks, "What you do?" 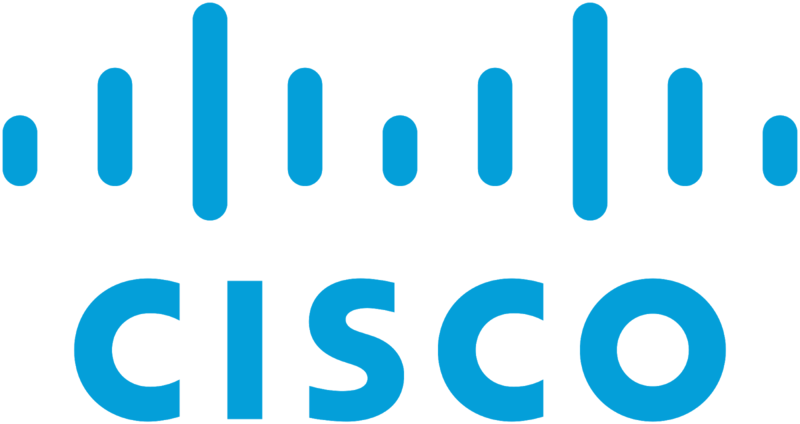 You say, "I manage Enterprise Architecture Projects for mission-critical business applications with an emphasis on Services Oriented Architectures." She smiles politely and says, "You broke your what?" Let's face it: describing the complexity of today's working world is hard... unless we use pictures. In this session, Dan Roam demonstrates step-by-step how anyone -- regardless of artistic talent or training -- can use simple pictures to describe what we do, explain complex concepts, solve fuzzy problems, and sell others on breakthrough ideas. Nothing is more important for our professional and personal success than sharing our ideas in public. Yet nothing is more terrifying than public speaking. No wonder success can be so hard. But it doesn’t need to be! 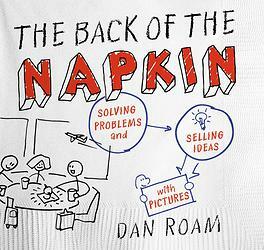 In his two international bestsellers, The Back of the Napkin and Unfolding the Napkin, Roam taught readers how to solve complex problems and sell ideas by using visual thinking. 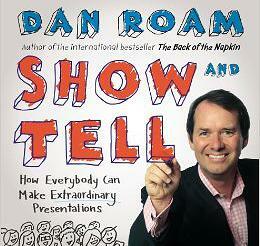 Now in his latest, Show and Tell: How Everybody Can Make Extraordinary Presentations, Roam presents a pithy but powerful guide that takes away the jitters and gives anyone the confidence they need to share their story with any audience. As Roam writes, “As presenters, our goal is simple: To help others see what we see. To do this we entertain, persuade, educate, motivate, and ultimately change our audience. In other words, we create and deliver a report, explanation, pitch, or story so captivating that our audience wants to see things the way we do.” Roam explains in detail how anyone can incorporate pictures, graphics, and—best of all—drawings into a presentation that will keep the audience glued to its seats. There is nothing more important to our professional success than our ability to present our ideas effectively to others. Yet there is nothing more terrifying for most of us than public speaking. No wonder success can be so elusive; the one thing we need to do well is the one thing we’re most afraid of. But it doesn’t need to be. In this dynamic and inspiring seminar, Dan Roam shows how, with a little planning and practice, making an extraordinary presentation can be easy and fun — both for us and for our audience. All we need to do is remember the three rules: tell the truth, tell it with a story, and tell that story with pictures. This session is ideal for anyone who needs to share an idea, sell a concept, generate support, or help others understand. 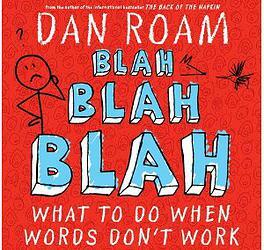 Dan Roam is the author of the several books including the international bestseller, The Back of the Napkin: Solving Problems and Selling Ideas with Pictures, which was named the innovation and creativity book of the year by Fast Company, BusinessWeek, and the Times of London. The Back of the Napkin has been published in 27 languages and topped the business book charts in the US, UK, Japan, Germany, China, Korea, and France. Dan and his whiteboard are frequent guests on CNN, NBC, ABC, CBS, Fox, and NPR. 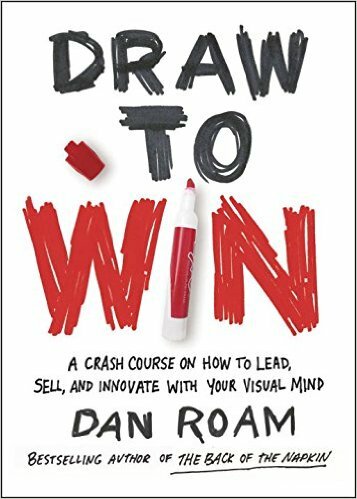 Dan's latest is Draw to Win: A Crash Course on How to Lead, Sell, and Innovate With Your Visual Mind. 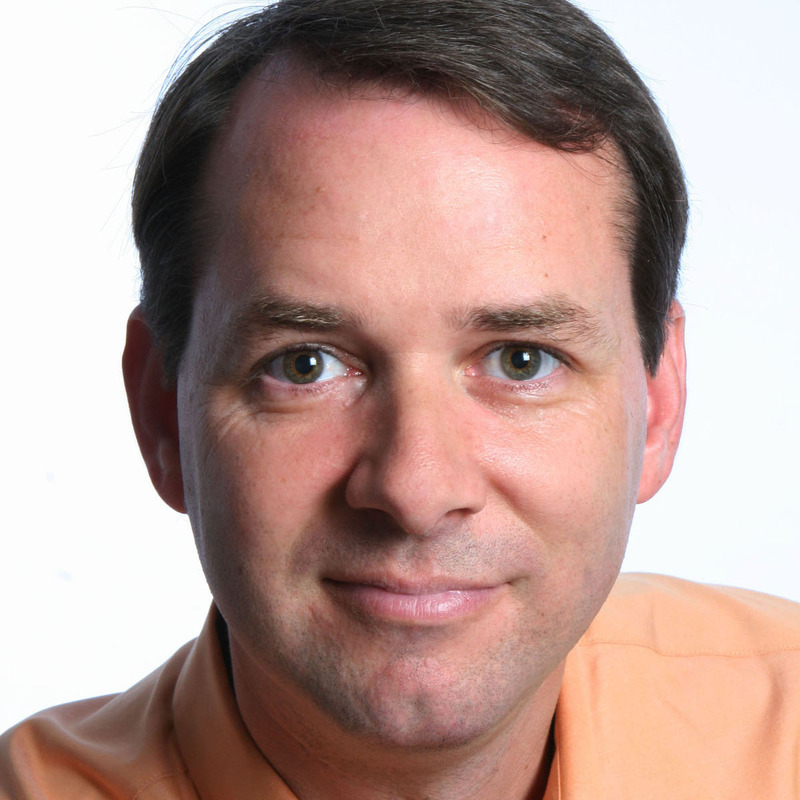 Dan is the founder and president of Digital Roam Inc., a management-consulting firm that uses visual thinking to solve complex problems for such clients as Google, Boeing, eBay, Microsoft, Wal-Mart, Wells Fargo, the U.S. Navy, and the United States Senate. 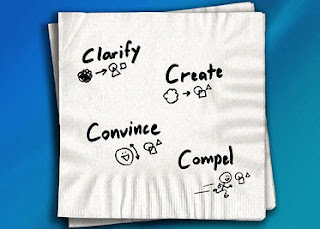 Dan's analysis of American health care on 50 napkins was hailed by BusinessWeek as "The World's Greatest Presentation of 2009" and prompted the White House Office of Communications to invite Dan in for discussions on how to visually clarify complex policy issues.